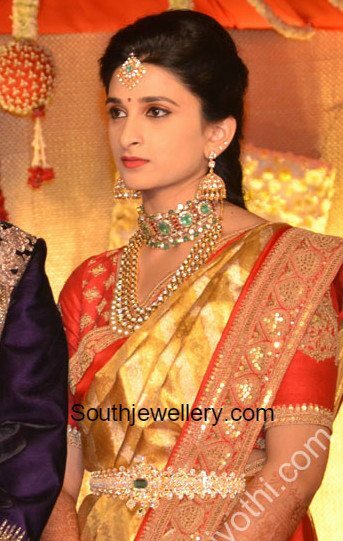 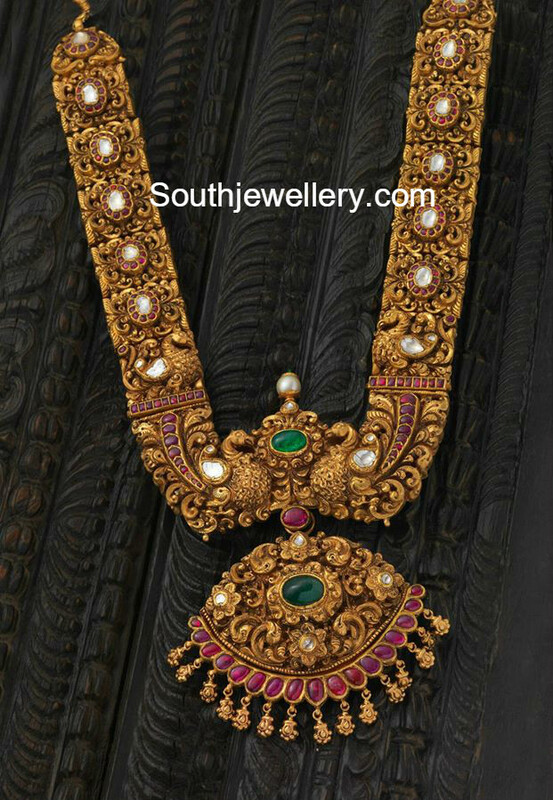 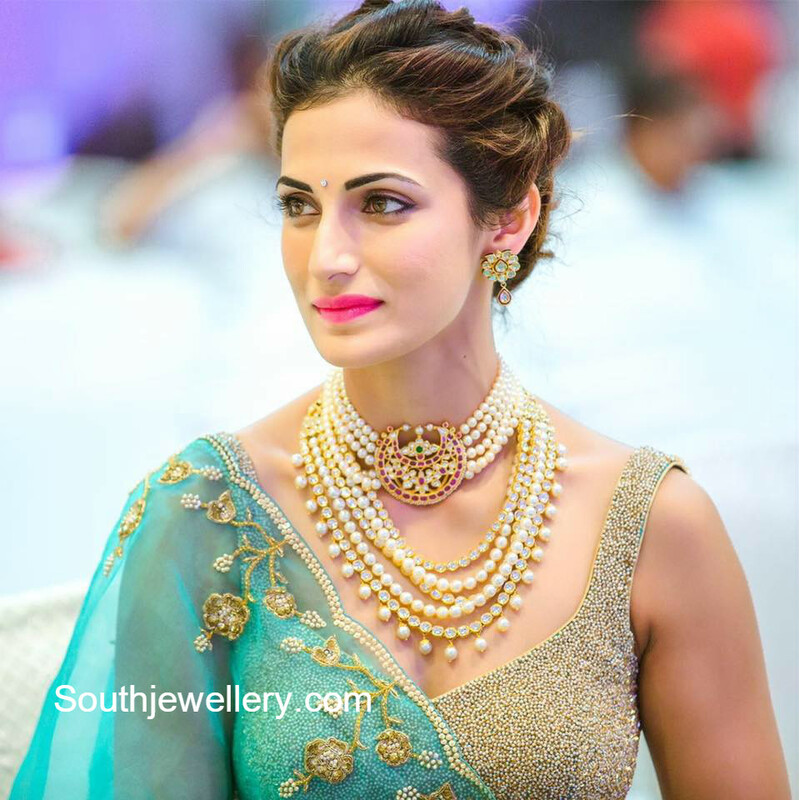 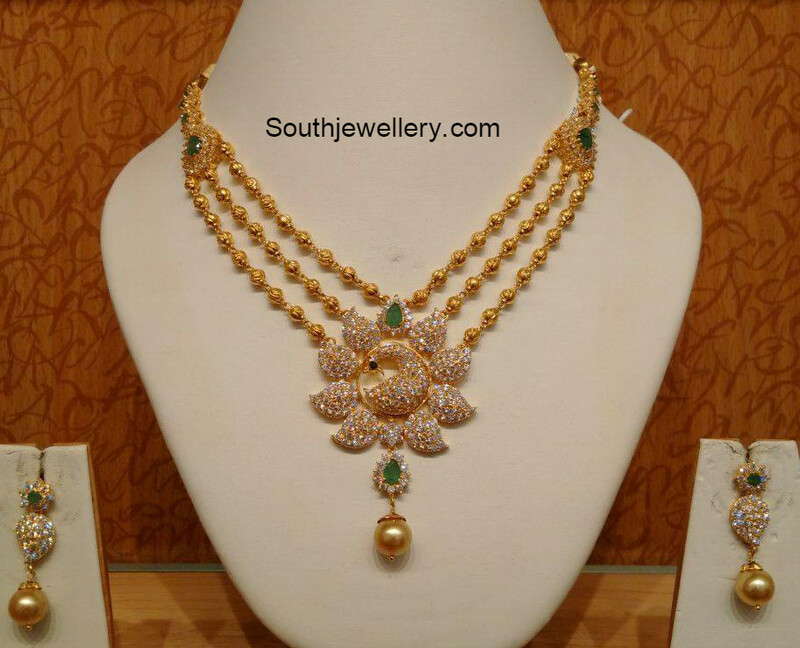 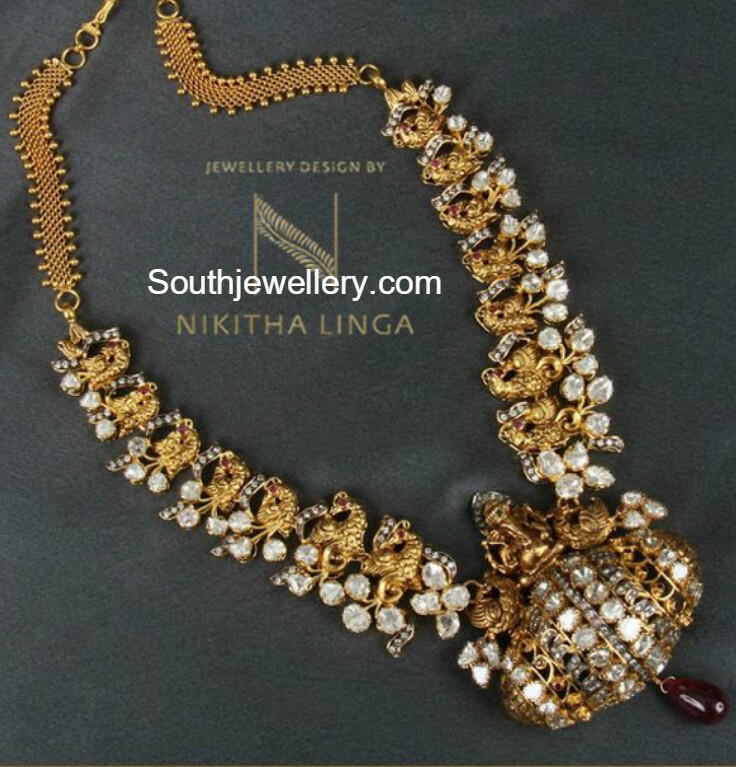 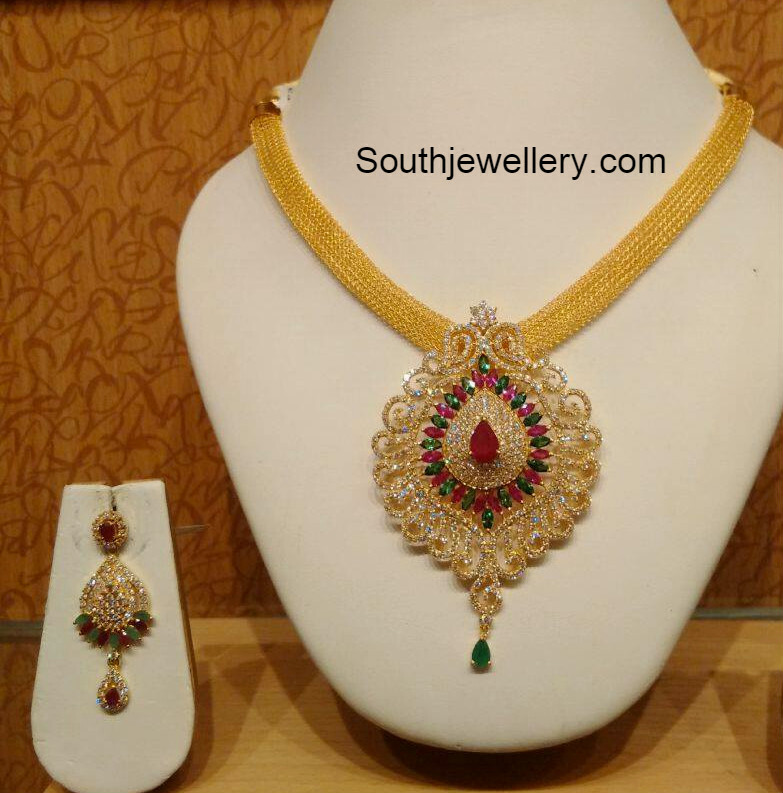 22 carat gold necklace with beautiful Goddess Lakshmi pendant studded with cz stones, rubies and emeralds. 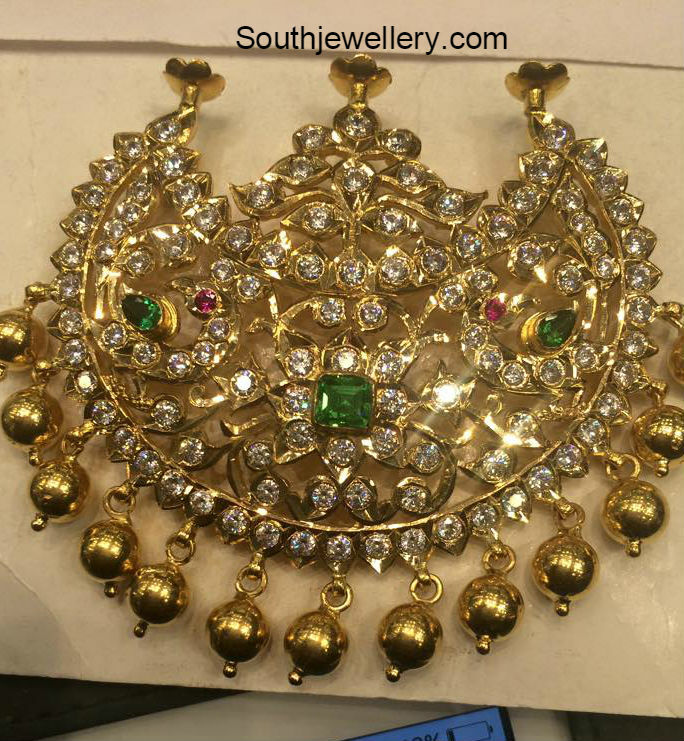 Weight: 52 grams Price: Rs. 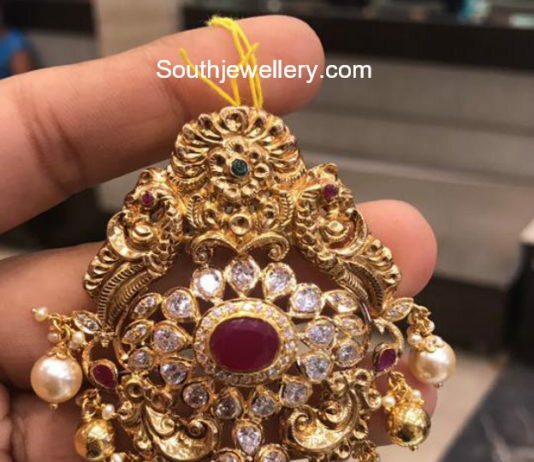 1,55,000 approx. 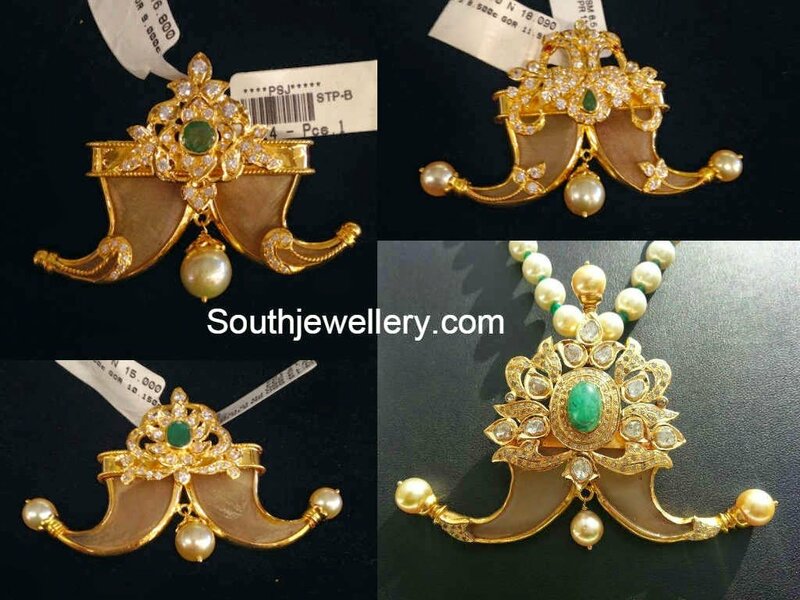 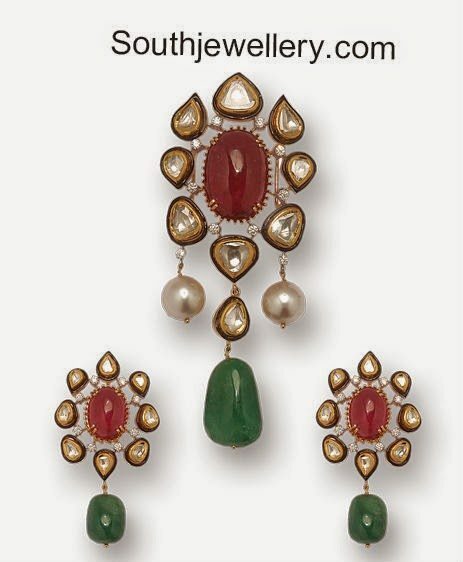 22 carat gold tiger claw/ puligoru pendants studded with cz stones, emeralds and south sea pearls.